Money Box Giraffe modern sp./lacq. Money Box Bear modern sp./lacq. Money Box Elephant modern sp./lacq. This modern money box in the shape of a bear is particularly suitable for engraving. 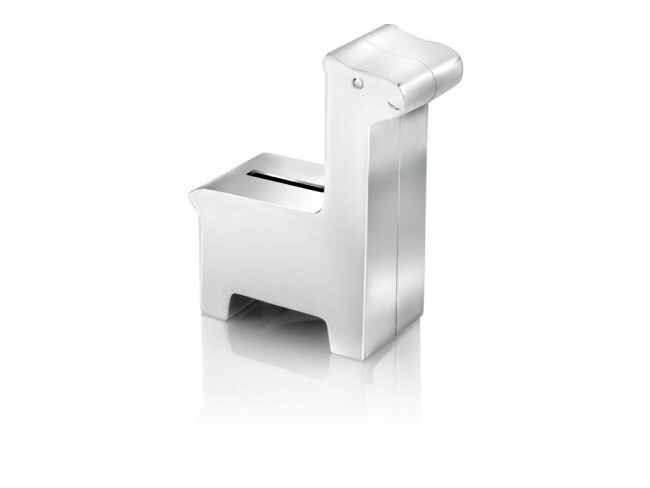 The money box is silver-plated and varnished so no polishing is required. This modern money box in the shape of an elephant is particularly suitable for engraving. The money box is silver-plated and varnished so no polishing is required. This modern money box in the shape of a giraffe is particularly suitable for engraving. The money box is silver-plated and varnished so no polishing is required. You're reviewing: Money Box Giraffe modern sp./lacq.